We’ve never chartered a yacht before, is this the right holiday for us? How do I choose a yacht to charter? What’s included in the yacht charter rate? 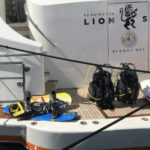 What are the hidden extras in chartering a yacht ? Do we have to give the crew a tip? 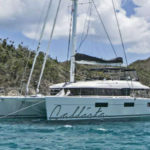 What is the best yacht charter itinerary in the Caribbean? I have teenage kids, will they get bored? My kids are picky eaters, will that be a problem? Can we choose the food and drinks we like? How do we book a yacht charter? Do we pay for your advice? If you are looking for a unique vacation tailored to your specific needs, great food, personal service, relaxation, peace and quiet, getting away from the crowds, water-sports when you like, then it almost certainly is for you. 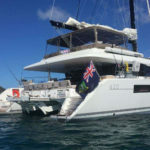 Chartering a yacht is much like staying in a private villa with staff, the crew sail the boat, prepare food according to your tastes and (within reason) tidy up after you. The difference of course is that you can wake up in a different place every day if you like – without having to pack your bags. You can go ashore when you want and visit charming villages, chic ports, dine ashore if you like, visit beach bars, visit historical sites, go on an island trek, swim, snorkel, play beach games and use a whole range of watersport toys. 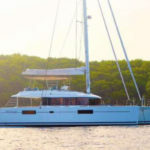 Yacht chartering is suitable for may different groups, especially families, groups of friends or just one couple. Your choice is between power and sail. Sailing yachts can be either monohulls or catamarans. Monohulls will give you the thrill of sailing. 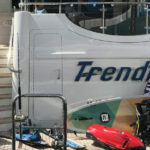 Catamarans have a level sailing platform and do not heel-over. They also have extensive fore-deck space and many of the newer designs have upper fly-bridge decks. All of the boats we deal with are fully crewed – we do not deal with bareboats. We aim to match the best boat to your needs and we will discuss the different options with you and help you make the best choice. 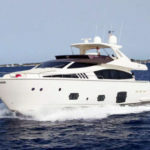 Yacht charter prices can be quoted according to number of guests on a seven-night, all-inclusive basis. 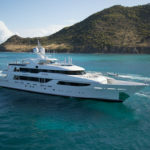 This rate may include nearly everything (three meals a day, snacks, all drinks, even local cruising taxes) and many of the yachts based in the Virgin Islands operate on this basis. The sailing super-yachts and most of the motor yachts structure their charter costs on a base charter price PLUS all expenses as extra costs. 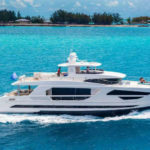 For a motor yacht for example, the expenses can add up to another third again to the charter cost to cover things like all food and drinks, fuel costs, dockage etc. It is normal practice with this type of price structure that you pay an advance provisioning allowance (APA). When comparing the price of different charter yachts take a good look at what’s included and what isn’t. We will always endeavour to make sure that the full cost basis is given to you very clearly right at the start of the booking process. We hate surprises. What are the hidden extras in chartering a yacht? 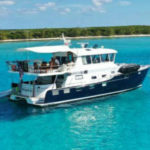 With an inclusive charter rate additional costs will include special requests such as premium wines and champagne, dockage (if used), airport transfers, local immigration costs and crew gratuities. In other parts of the Caribbean the charter rate may include all food, but drinks, local cruising taxes and harbour fees would be extras. These costs will be clearly indicated in our charter proposals to you. It is usual practice to give a crew gratuity – this is not included in the charter fee. Between 10 and 20 percent would be customary depending on type of yachts and the level of service you feel you have received. We will be happy to give you an outline itinerary, but please do not expect a detailed hour by hour programme. At the start of the charter and probably each morning it is best to sit with the Captain and discuss the plans for the day depending on what you feel like doing and taking into consideration the wind and sea conditions at the time. If you feel like staying in the same bay for another day you can. The only real fixed pointes are the start and end ports and sometimes, within reason and if possible, even the end port can be changed. This is what helps make a yacht charter a luxury vacation – the freedom not to have a fixed plan. Depending on the boat you choose, there will be loads of activities. Most boats carry a range of water-sport toys – snorkel gear at least – and usually considerable more such as various towables, paddle boards and beach games. Aboard the yacht there will be an extensive music and movie library and board games. Ashore there will be great beaches to visit and cross-island hikes. Some islands have interesting historical sites, forests, mountains, waterfalls, volcanic sites, beach bars, rock formations and more. And if you are on a performance sailing yacht the boat itself will be the biggest and best experience. Most crew are very happy to get their guests involved with sailing. Before the charter you will be sent a Preference Sheet. This gives you the opportunity to list all your favourite foods and drinks and to specify any food allergies and dietary requirements. From this the cook/chef will prepare their daily menus. Food on yachts is not provided on an a la carte basis, but there will be sufficient flexibility to accommodate a wide range of tastes. Not a problem. Most cooks/chefs are used to providing more simple dishes for kids. When is the best time to charter in the Caribbean? The main season in the Caribbean is November through to the end of April with the very high season rates being the two weeks over Christmas and New Year when higher rates nearly always apply. The early summer months of May to mid August and good, although life ashore may be quieter and there is an increasing chance of tropical waves which might bring some rain. Later in the summer we stand the increased chance of tropical storms and hurricanes. Once you have confirmed dates, we have secured a first option or “hold” with the central agent, and all the costs etc., have been clearly established, we will issue the charter agreement. This is for you to check and then sign. To confirm the charter a 50 percent deposit is payable. The full charter fee is payable on booking for all charters starting within six weeks. The balance of the charter fee and advance provisioning allowance is payable six weeks prior to the charter date. No you do not pay for the advice I give you. My fees are deducted from the charter rate once a charter is confirmed.